Edited: Our winner is Sara Barker...Congratulations! Thank you so much to everyone who participated in our hop! We appreciate all the sweet comments and you taking the time to join in! Thank you to Annette, Candy, Cheryl B., Cheryl G, Linda and Susan for helping me make this possible! You girls are the best and I love you! Sara....email me your info at yblair1@gmail.com and I will get your prize in the mail! Hugs everyone! and thank you again! I am so super excited today! We are doing a blog hop today on my new tool the Journal Buddy, the Inky Art Journals as well as some of my stamps with Impression Obsession! I am telling you dreams do come true...you just have to have faith and keep trying...even if you have been told no...keep trying. I pinch myself everyday because I NEVER thought I could do any of this! But...faith, some luck and lots of hard work later...here we are! I have to send out a HUGE THANK YOU to my dear friends who are hopping along today! They are all a big inspiration to me...not just in their art but in the women that they are! They ROCK! and I am so lucky that they are playing along today! I also want to say thank you so much to all of you for taking time out of your day and hopping around and seeing the inspiration you are sure to find! SO....all this is to officially show you all about the Journal Buddy! 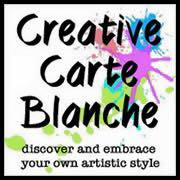 What you can do with it...how helpful it will be in your art journaling or even addressing an envelope! I think there is a ton of things you can do! It is a flexible stencil material that is see through. so you can slide it down your page as you need. 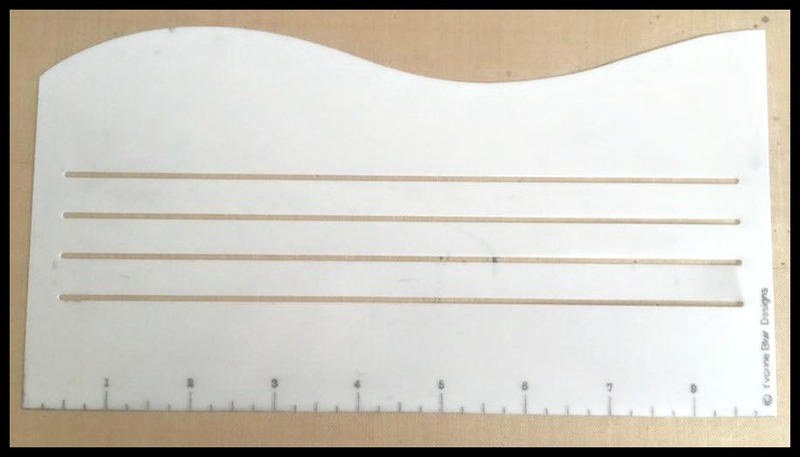 It has an etched ruler that is nine inches in length with quarter inch guides. The two straight edges on the sides are for lining up against your page edges to keep everything going straight and even down your page. Down below I will show you how to use the wavy edge as well as the slits. As you can see the Journal Buddy is see through. This makes it easy to trace the lines and get them exactly where you want them as well as putting the last line you traced or inked in the top slit so you can move on down the page. 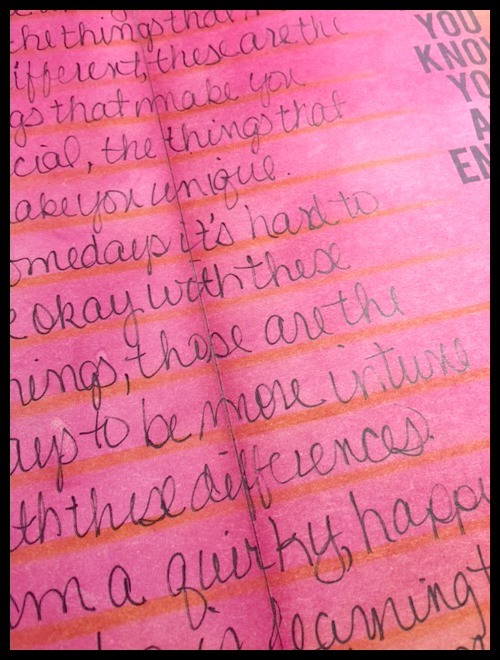 Then you will have your journal lines all the way down your page 1/2 inch apart. You can even go back and add lines in the middle of those lines if you want. When you are using the wavy edge you place the Journal Buddy where you want your lines to start. Line it up so that the straight edge is even with the page edge. This will keep you on the straight and narrow so to speak, wink. Once you make your first line, flip the Journal Buddy and line it up again..this makes the wavy edge opposite the first so you get the very cool thick and thin journal area. Then simply add your journaling! Easy Peasy right!!! that make my heart happy. Below, you will see that I placed the Journal Buddy on a different page in my art journal. Line the Journal Buddy up again by lining up the straight edge against the page edge. 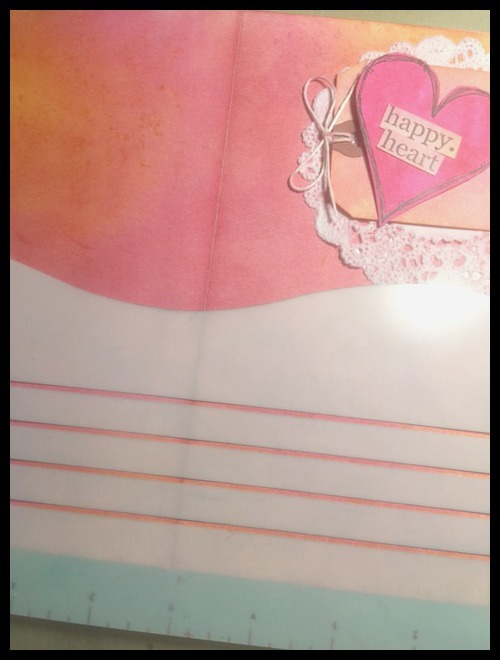 You can use your blending tool to go over your inky with Distress Ink...once you have inked your blending tool swipe it in one direction over the Journal Buddy. As you can see it leaves a nice inky journal line that you can then add your journaling too. I also traced the wavy edge of the Journal Buddy to cut a bit of one page down for interest. Another thing you can do! I like to create staggered pages in my journals by tracing it one way on the first page, then flipping the Journal Buddy the opposite way, trace and cut, then you have wavy progressive page edges in your journal! Just love the look of the inky lines! Don't you? These are just a few of the basic things you can do with the Journal Buddy. I am sure that when you hop around you will see many more cool ideas, wink. So if you started here there are more blogs to hop on over too! 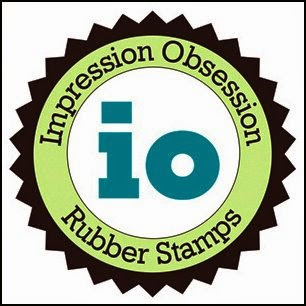 You can find my stamps at Impression Obsession here! Truly blessed to have these amazing opportunities! I have designed Inky Art Journal as well! I designed them so they have a raw chipboard cover for you to alter or cover, below you can see the raw, one I am in the process of altering and one that covered. The pages in the Inky Art Journal are made out of thick manila cardstock. When you open it the pages lay flat so that you can move across the seam with no interruption in your art. I wanted a journal that I could use with Distress Inks as I am an inky girl but I couldn't find one that accepted the ink like I wanted it to. It also still had to work with other mediums. I was lucky enough to know someone who would listen to my crazy idea and agree to produce them for me....Thank you Andy from Paplin Industries. If you would like to order either the Journal Buddy or the Inky Art Journals just click on the shop tab and follow the instructions! I have them in stock as we speak! Oh and one more thing! 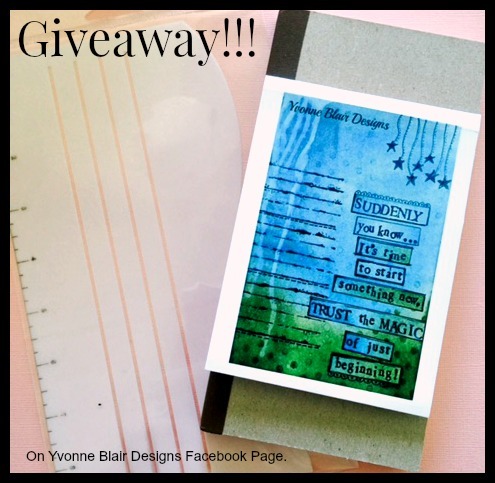 What would a blog hop be without a giveaway???!!! Leave a comment on EACH of the girls blogs that were in the hop. I will put all those names in a bucket and my hubby will be the official name puller. You must have your comment in by Tuesday November 10 midnight EST. We will making sure that a comment was left on each blog. Those are the only two rules, wink. The prize is a Journal Buddy and one of the new sizes of Inky Art Journal (4x8). Okay...what are you waiting for??? Go hop! hehehe. Have fun and thank you again for taking time out of your day to join in the fun! Congratulations Yvonne!!! I am thrilled for you and so appreciate your words of encouragement- keep trying!! I will! The journal buddy is so cool and I have to say, I think it makes a world of difference to introduce it in a hop to show different takes and spreads on how others use it! Kudos to all of the gals who are hopping for sharing their inspiration!! Yvonne, I LOVE all of your new products! Great explanation of your journal buddy and how it is so beneficial for journalists. 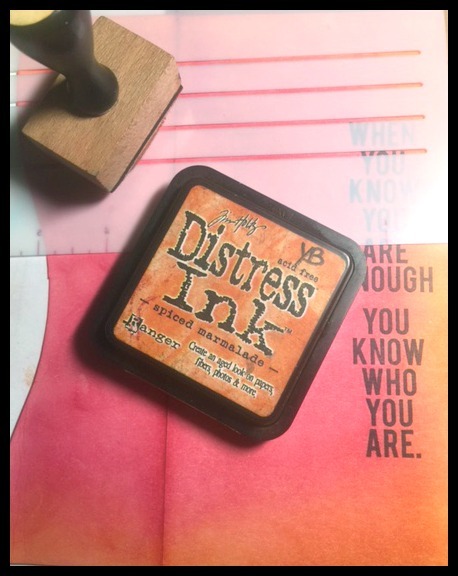 Your stamps carry such positive messages and your art journals are just the BEST!! Love you, girlfriend! I love your pages and the way you've used the Journal Buddy. You've given me some great ideas! These journal buddies look awesome. I gotta get me one. I love your use of all these materials, great color!!! So happy to have found my way to your page, now following along! Can't wait to get your journal to try and thanks for a chance to win. can't wait to try the journaling tool - looks like it will be really helpful ! Your journal buddy is a bright idea and a must have as you demonstrated today. 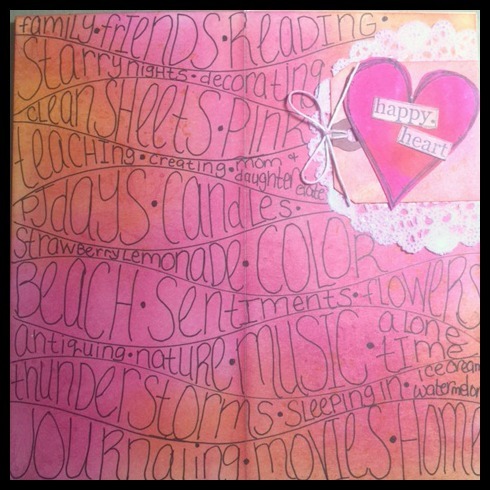 Annette has shared her journal pages so I'm off to view more fantastic art for blog hop. Your post is just wonderful! I'm so glad the buddy is 9" as I needed 8" and was afraid it wouldn't be that long. The best part is something I hadn't thought about. I just need the pencil lines BUT this post opened a new window - I could use it as a stencil to ink lines - brilliant. The blog hop is fun, too. Ynonne, I am just so excited for you and the launch of such fabulous products! 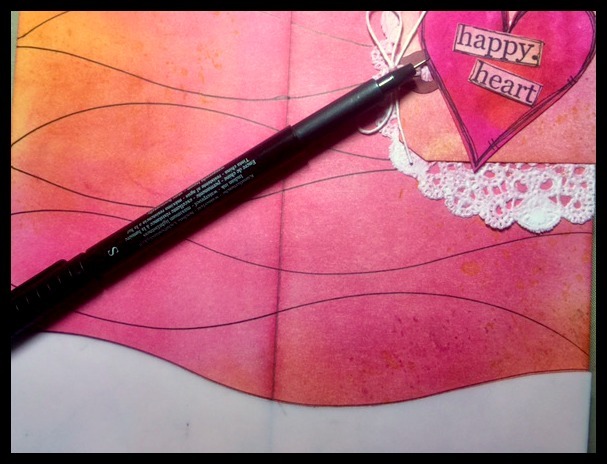 I'm loving the art journal, especially that it opens flat and it takes on so much wet product without messy leaks. Just what I need 'cause I love to layer it on! I can tell that your hopping friends adore you; it shows in their gorgeous work. I'd love to meet you some day; you seem like my kind of person. Love your journal pages here and a great example of how to use that awesome Journal Buddy! I sure need one of those because I couldn't write in a straight line if my life depended on it! Big hugs and congratulations! Your description of how to use the Journal Buddy is perfect! 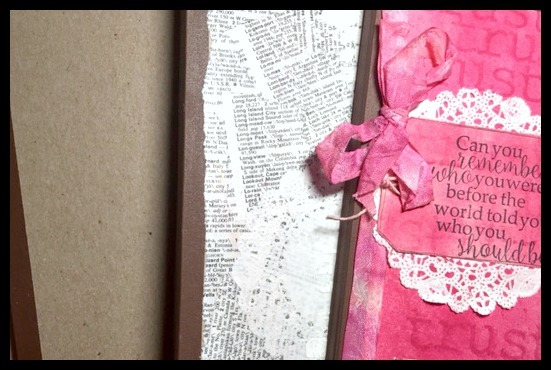 Even for a non-journaler (yet) I can think of lots of uses in my scrapbooking journey. So exiting! Congrats on your Journal Buddy, Stamps and Journals. I love all the sizes and the fact that they are flat when opened. I struggle with straight lines so the journal buddy would be perfect. Loved seeing how everyone used your products. Great hop!!! A fabulous looking journal, I love that it opens flat, something that I thought was impossible unless loose leaved & the buddy stencil HAS to be on my CHRISTMAS list! what a wonderful adventure you are on my friend!!! 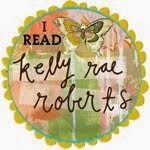 these are awesome new products and your stamps/quotes are amazing!! FABULOUS HOP Yvonne.....GREAT designer.....GREAT creations and FABULOUS products!!!! I love the idea of turning the journal buddy over to get the opposite effect. I honestly wouldn't have even thought of that. LOL! Thank you for offering this awesome giveaway! I've only just found you (thanks to Annette and this wonderful blog hop) and I am SO glad I did. I love your work!! The Journal Buddy is a great tool and it is so versatile. I like how you used it to ink through for subtle lines to journal on and I love how it can be used to do the wavy style of writing. I've always wanted to do that but mine never seems to turn out. 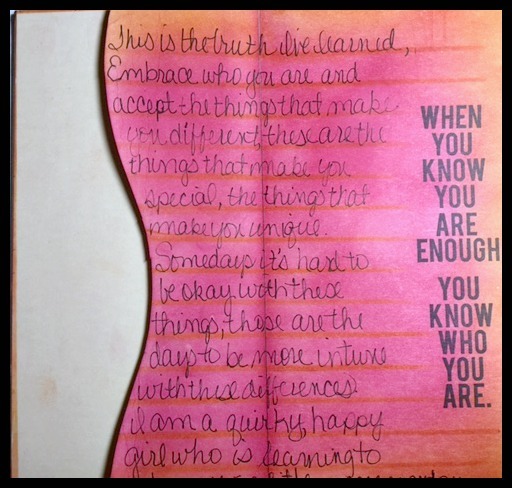 i love that quote "when you know you are enough... " I'm off to check out your stamps and oh so glad to have "found" you! Awe..Thank you Therese! I'm glad you found your way to the blog hop and found me and the other girls! Thank you so much for your kind words!!! I hope you enjoyed hopping around and seeing what everyone did! They really blew me away and I feel so blessed to have them in my life! Hugs. and thank you for stopping by! Your journal page is so creative and colorful! The Journal Buddy looks like a terrific journaling tool and I love that the Inky Art Journals lay flat. Congratulations on all of your success! Congrat's on your journey and products. Great presentation and inspiration suggestions to create with the products. Many hours of journalling can be accomplished with imagination. Cool doesn't even begin to capture your use of the buddy guide/stencil! LOVE the use!! So late in my comments here, but just had to let you know how awesome your Journal Buddy is and your Inky Art Journals are the BEST in the biz. My artsy daughter saw mine and said, "OH! I've gotta get one of those!!" What a pleasure it is to work with your Journal Buddy, your Journal and YOU!! . 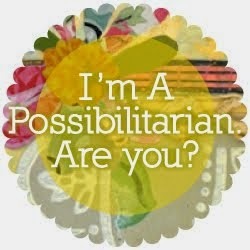 Thanks for asking me to be a part of your blog hop. Congrats to Sara!!! And thank you to EVERYONE who left comments for all of us! This was so much fun! Oh, Yvonne! I am super excited to be the lucky winner of your journal and Buddy! This is a sign that I MUST pursue this elusive art journaling I've been putting off FOREVER! And I'm so lucky to get to do it in YOUR art journal! Yippee! I'll be e-mailing you later today! Hugs! You are so sweet Sara! I hope this will light the way for you to experiment and play! That's what it's all about! play! it's my therapy, wink. Hugs back! and I hope you will share what you do!